That’s Michael Jordan, With A B! NBA Hall of Famer Michael Jordan finally decided to no longer be an absentee owner with his basketball team down is Charlotte and it paid off, big time! Jordan recently upped his stake in the Hornets to 89.5% from the previous 80% which he began to acquire in 2006 from Robert L. Johnson. It was a move that many saw coming as one of basketballs most legendary figures began to take more and more interest and control in the Charlotte franchise. Perhaps he got tired of critics making snide remarks about him not being up to snuff as an NBA team owner. Perhaps the time was just right. In any case, Jordan’s extra 9.5% of the Hornets coupled with the recent surge in the prices being offered for NBA teams these days have led MJ to post another record he probably had no idea of reaching while he was playing basketball. Michael Jordan is now officially a billionaire, yeah, with a B! LeBron has been saying for years that he wants to be sports first billionaire. Well, he may well get to the billion mark, but he won’t be first. Just one more record set by Jordan that LeBron is still chasing. 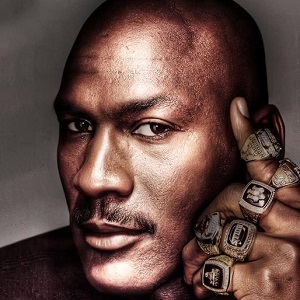 In early 2014 the folks that like to report on athletes earnings said that Michael Jordan had an annual income of $90 million based on his business investments, endorsements and whatever else. They also reported that Jordan’s net worth then stood at $750 million. Now that, coupled with the recent boost in the value of an NBA franchise, have put Michael Jordan over the top. Previously this year, the value of the Hornets organization was estimated at $410 million. However, the Milwaukee Bucks sold for $550 million in May and they were rated as the least valuable club in the NBA, so the Hornets must then be worth more still. People in positions to know now say that the Hornets franchise is presently worth between $600-$625 million. 89.5% of $600 million comes out to $537 million. Not bad for a $175 million investment made just eight years ago. The aggressive rebranding of the Charlotte NBA team from the Bobcats back to the Hornets has also helped to increase the value of the team. The roster now has a central core of real talent and don’t be surprised to see the Hornets in the NBA playoffs next year. Even figuring in the staggering $135 million that the Hornets organization somehow amassed in debt, the upgraded value of the club still puts Jordan well over the billion dollar mark, congrats MJ.